Crafted from Grade A edge-grain natural bamboo, this Pizza Peel paddle fromCounterArt is the traditional tool for sliding pizza in and out of anextremely hot oven. Its tapered front edge slips smoothly under pizza, breador biscuits to peel them from the oven or baking stone. 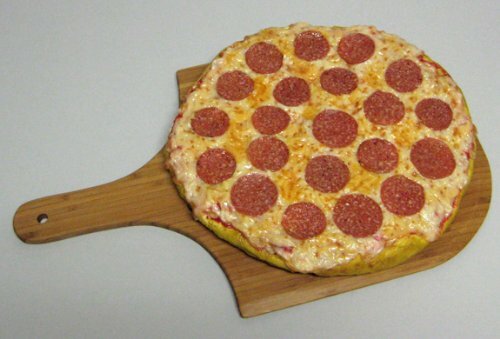 This pizza paddlefeatures a generous 20-inch by 12-inch size which is perfect from home ovensand also may be used as an all purpose board for serving cheese or appetizers.The handle has a handy hanging hole at the end, so you can keep this on thewall just a reach away from the oven.